What began as a small motorcycle salvage & repair business in the late 1970s has grown to a well recognized, highly reputed brand name in the Motorsport world. Much of our success comes from our knowledge & expertise in the motorsport industry - we develop parts that are in high demand by motorsport enthusiasts. We strive to stay on top of industry trends and are constantly adding new products to our line. 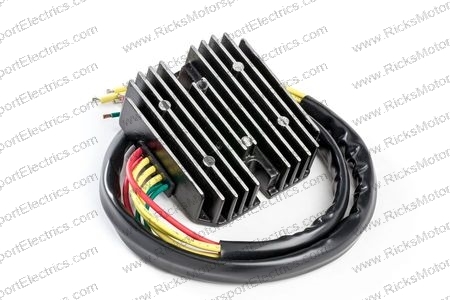 Rick's Motorsport Electrics offers a full parts line of motorsport charging and starting systems & electrical ignition components for Asian and European street bikes, ATV/Off Road, snow mobiles, and watercraft. We provide a high quality, cost effective alternative to an OE piece. Rick's provides direct plug-in, bolt on pieces whenever possible. We also know the value of the occasional universal part to fit an obscure motor vehicle machine. Rick's Motorsport Electrics also offers a one year part replacement warranty on all motorsport parts, excluding CDI boxes. A healthy battery is a necessary component on the vast majority of street bikes as well as a substantial number of off-road vehicles such as ATVs, dirt bikes, snowmobiles, watercraft, etc. We carry a complete line of parts to keep the systems charging these batteries up to spec. 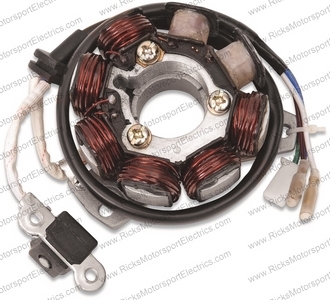 These components include but are not limited to new, direct replacement & universal style rectifier-regulators, new & rebuilt stators, new & rebuilt rotors, new & rebuilt alternators, and new stator cover gaskets. Most of our components are brand-new plug and play parts, though we also do a substantial amount of custom work in-house. 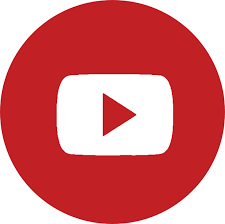 Just because a part may not be listed currently doesn’t mean we can’t help with it, email us with the part information and we will do our best to assist! The first thing every vehicle has to do when you want to go for a ride is start! 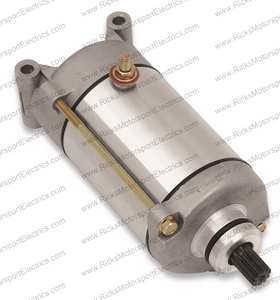 Rick's Motorsport Electrics makes parts to keep these starter circuits operating properly such as new & rebuilt starter motors, starter motor rebuild kits, pull start kits, starter drives, starter solenoid switches, starter brushes, and starter brush plate repair kits. 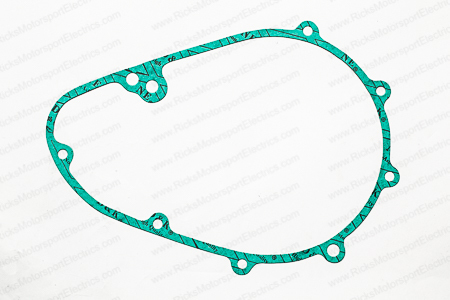 These components are designed to be direct replacements for the OEM parts and almost all will install with no modification required. Repair kits are designed for at home mechanics who prefer to do work in their own garages. We also offer in-house rebuilding services. If you have an obscure starter not currently listed we may be able to help; email us about sending it in for possible rebuild. Got spark? We do! Rick’s Motorsport Electrics will get you Fired Up! To get your motorsport vehicle to “fire” you need a functioning ignition circuit that not only delivers a spark but also creates that spark at the correct time. This is where Rick’s Motorsport Electrics comes in. 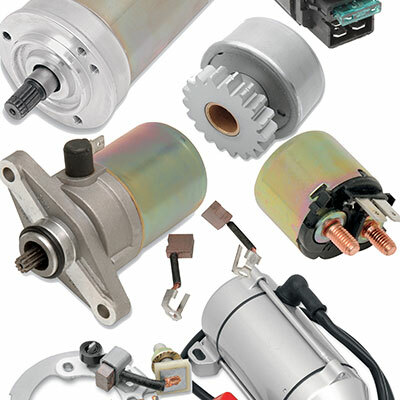 We carry a complete line of ignition components such as ignition coils, source/exciter/pulse generator coils*, trigger/pickup/crank sensor coils*, and CDI boxes. 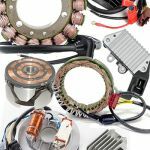 Many of the trigger and source coils are available both individually and as part of our complete, plug-and-play stator assemblies. *-Note: These parts often go by many different names depending on the manufacturer/model/year, so please email us with any questions regarding what parts you need! 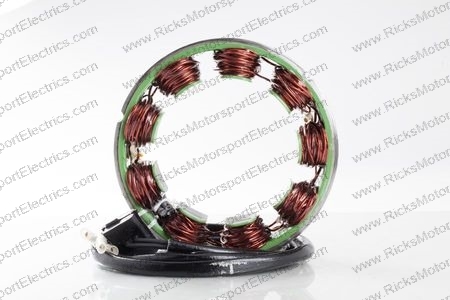 Welcome to the new site for Rick's Motorsport Electrics. We are an industry leader in the Aftermarket Motorsport Parts Industry. 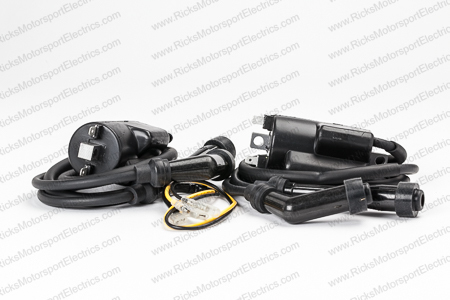 We offer Parts & Kits for your Charging, Starting, and Ignition system needs! Rick's offers it's own line of OEM Style and High Output "Hot Shot Series" parts.